Celebrities - no matter how famous and rich they may be - can fall on hard times just like the rest of us. Hopefully, your debt is nowhere near their levels. Every now and then, we all need some help with our finances, which is where payday loans can benefit you. Some of the biggest losers in celebrity debt from Snappy Payday Loans. Easily share this with family and friends! Let's say you just need $100 to help you get by for a few days until you're paid. What are your options? You could overdraft your account, for which most banks charge about $35. Some even have daily fees while you are overdrawn. Others charge you after a period of time if your account isn't back in the positive. Another option is to take out a payday loan, which in this example, would cost only a $20 fee. So, what's better... a $35 fee, at about 912% APR, or a $20 fee with an APR of 521%? When you opt for a payday loan, you can apply online to get money fast. In most cases, you'll get your money by the next business day at the latest. 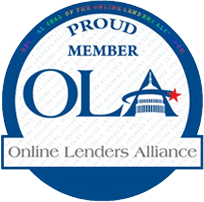 If you live in Oklahoma, Washington, Missouri, Ohio, or Louisiana, you're not alone when it comes to payday loans. Out of the 35 states that have payday loan storefronts, they are the states the use payday loans the most. Here's a look at some of the big names who experienced even bigger money trouble. 1) Evander Holyfield made headlines in 2013 when it was reported that he was kicked out of his 109-room, 54,000-square-foot mansion facing debts of $14 million-including $328 thousand in unpaid child support. In 2014, a judge held him in contempt of court, ordering him to pay nearly $3,000 a month to clear his debts. 2) Toni Braxton had a chance to "un-break her heart" and "breathe again" when she rebounded from debt in 2014 and bought a new $3 million house. Just six months prior, the pop singer was bankrupt for the second time of her career, allegedly to the tune of tens of millions. 3) In 2006, Wesley Snipes was charged along with two others for conspiring to defraud the U.S. government. The scheme netted him a debt of $17 million in back taxes and a three-year prison sentence-a better fate than his co-conspirators, who were sentenced to four and a half and ten years. 4) Willie Nelson may be infamous for burning illicit substances, but he also burned plenty of money. With unpaid taxes of more than $16 million, his lawyers negotiated him down to a $6 million cash payment-an amount he couldn't even afford despite his success in music. 5) Like his famous opponent Holyfield, Mike Tyson ran into a huge amount of debt himself, accumulating some $18 million worth. When the IRS forgave him of $2 million in 2014, the boxing star reportedly said "I like the IRS now." 6) Former Celtics power forward Antoine Walker found himself filing for bankruptcy in 2010 with debts of nearly $13 million. College teammate Nazr Mohammed helped Walker by paying half of his attorney fees. Although Walker claimed to be debt-free in 2013, it was a hard road back-he even had to sell his championship ring. 7) Weezy can't seem to pull himself out of debt, in spite of his riches. Lil Wayne owes the IRS about $6 million in unpaid taxes for 2011 and the same amount for 2012. In 2014, he was sued for not even being able to afford the tab on his travels by private jet. 9) Although he was said to have become a successful investor following his baseball career, Lenny Dykstra struck out in 2012 with $37 million in debts and 6 ½ months in federal custody for bankruptcy fraud, concealment of assets, and money laundering. Dykstra was already serving a sentence for grand theft auto in a separate case. 10) Nicolas Cage is known for his lavish spending habits-the actor owns castles, yachts, and dozens of vintage cars-and it caught up with him in 2009. He ended up $6.2 million in the red, which the IRS ordered him to pay up. 11) Round up the Usual Suspects. Baldwin brother Stephen went bankrupt in 2009 to the tune of $2 million, and was arrested three years later for tax evasion. The same year he defaulted on his home loan. In March 2013, he pleaded guilty to failing to file his income taxes for three consecutive years. 12) Dennis Rodman, Chicago Bulls bad boy, has made headlines across the world for his bizarre behavior (including visits to North Korea). In 2012, he faced jail time for the more than $800,000 he owed his ex-wife Michelle in child and spousal support.